It is also being reported that Kareena and Taimur will accompany him for the shooting schedule of his film ‘Chef,’ in Europe. 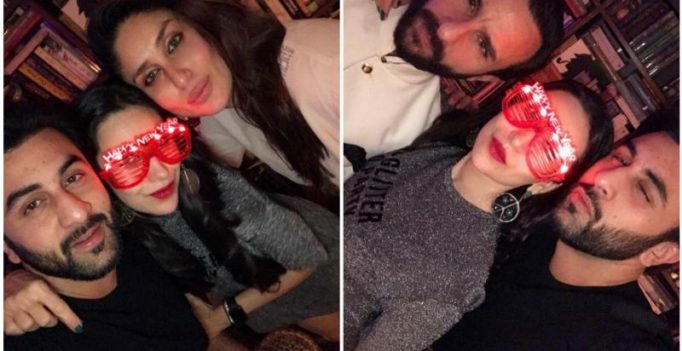 Mumbai: Kareena Kapoor and Saif Ali Khan, who were blessed with their bundle of joy Taimur, recently, rang in the New Year in the company close friends and family. Kareena’s cousin Ranbir Kapoor, who’s prepping himself to get into the skin of Sanjay Dutt, to protray him in Rajkumar Hirani’s biopic, attended the celebrations, sporting a neatly groomed beard. Dia Mirza, who recently ventured into direction was also present at the do. 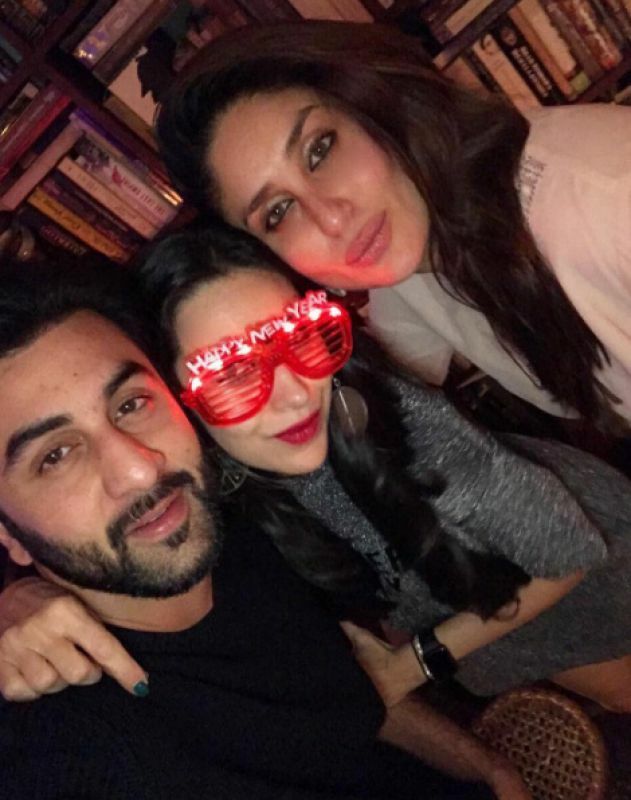 Kareena, elder sister Karisma and Ranbir had a ball hanging out together, reliving old memories. 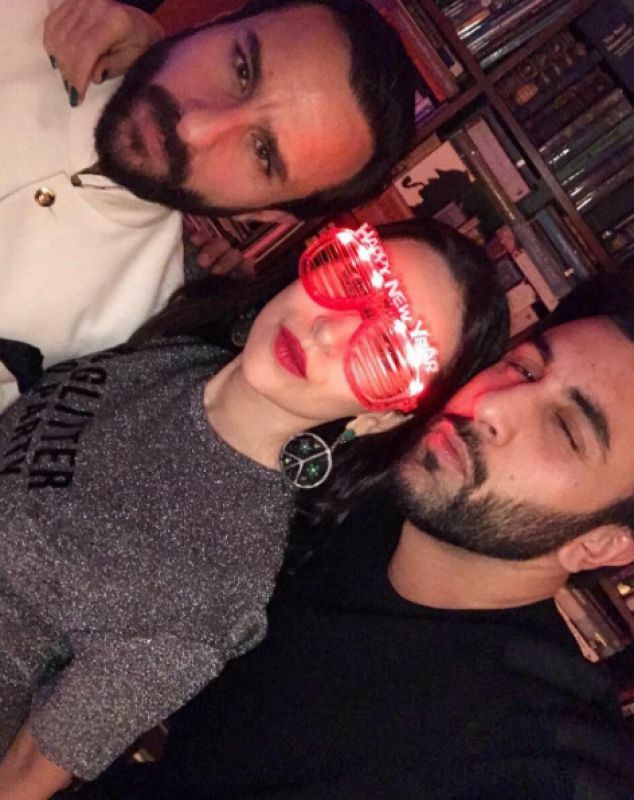 Saif, who’ll next be seen in Vishal Bharadwaj’s ‘Rangoon,’ alongside Kangana Ranaut and Shahid Kapoor, did hang out with the happy cousins, though he was usual reserved, suave self. 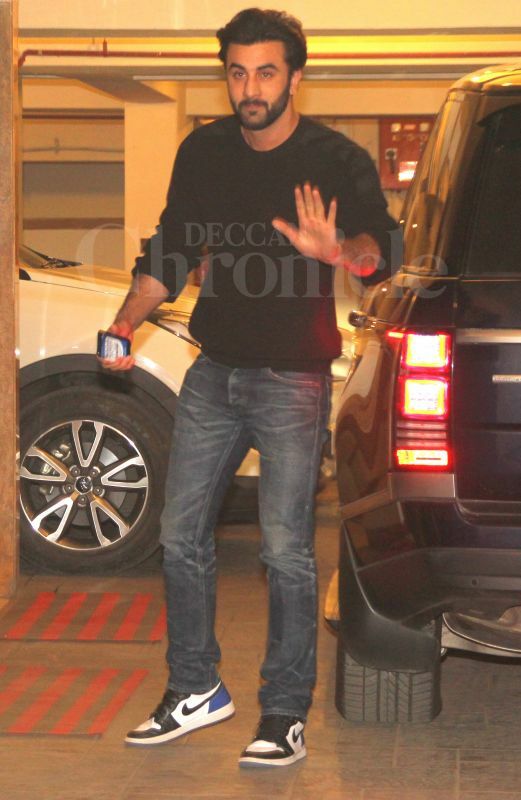 Saif is reportedly on a paternity break to spend some time with the baby. It is also being reported that Kareena and Taimur will accompany him for the shooting schedule of his film ‘Chef,’ in Europe. Kareena will next be seen in ‘Veere Di Wedding,’ also starring Sonam Kapoor and Swara Bhaskar. Dream Team says goodbye to flat stomachs as they celebrate their tour with a feast!